Mark Edward Jackson told police he shot a man in Ridgedale on Sunday night after he earlier opened the door to their house. 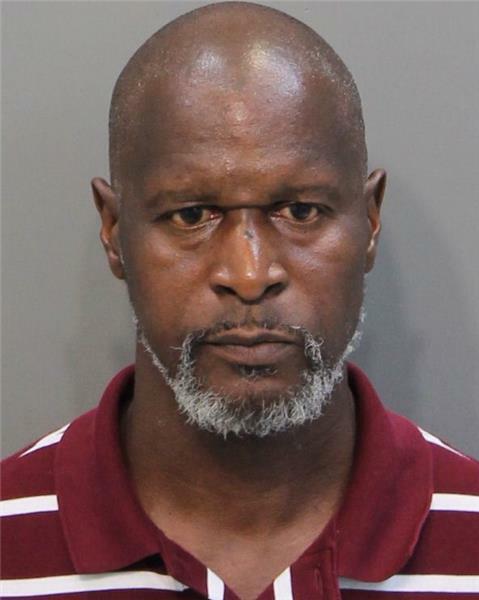 Jackson, 51, was arrested in the shooting of Gus McKinney, 49. Jackson was charged with aggravated assault, felony reckless endangerment, and possession of a firearm during commission of a felony. Upon arrival, Chattanooga Police located the victim, who was suffering from a gunshot wound. Hamilton County EMS transported him to a local hospital. Investigators were able to determine that there was a confrontation between the suspect and victim prior to the shooting. Chattanooga Police officers were able to locate the suspect quickly. After being questioned by investigators he was formally arrested. McKinney said he was running down a street near E. 14th Street when he heard a shot fired and noticed he was hit in the back. He said he had heard Jackson yelling for him to stop, but he went on to a relative's house. Jackson said he parked at the rear of his house where he was confronted by McKinney. He said McKinney startled him. Jackson said his wife told him McKinney tried to open their front door. Jackson said he then grabbed his .32 black revolver from his bedroom and exited his home. He said he yelled at McKinney to halt saying, "Stop or I'll shoot." He said McKinney replied, "Shoot." Jackson said he then fired his revolver in the direction where McKinney was running. He said the shot was to try to stop him from running. He said he did not believe he hit him, so he turned and returned home.